Silgan Dispensing, a global leader in the design, development and distribution of highly engineered pumps and sprayers in the beauty, home and garden markets, highlighted several of its latest innovations at ADF&PCD Paris, the world’s only dedicated event for the aerosol, dispensing, perfume and cosmetic packaging community. Silgan Dispensing has presented new solutions for the Fragrance and Skincare markets that will address the changing needs of customers and consumers worldwide. XpresService for Fragrance and Skincare is our way of being agile, flexible and quick in reducing the time to market for our partners’ new launches and accelerating their lead time for replenishment orders. Our fragrance and skincare customers can expect reliable and easy solutions to help them meet their time-to-market needs. PCR Family of Products enables us to partner with our customers to develop sustainable solutions that use post-consumer recycled (PCR) plastic in our packaging and dispensing solutions. We’ll introduce a broad portfolio of PCR based products for the European and North American markets. 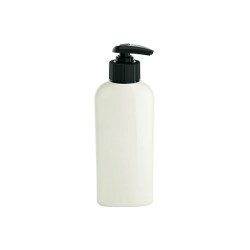 Silgan Dispensing’s PCR portfolio includes well known pumps and sprayers produced in Europe, including the SD20C dispensing pump (liquid soap, lotions, soaps, shampoos, etc.) 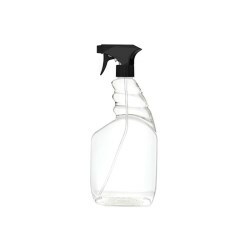 and Mark VII Max, a highly versatile fine-mist sprayer. 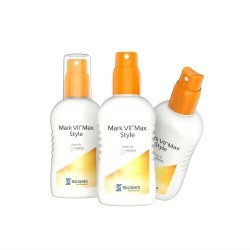 Mark VII® Max Style, unveiled late in 2018, alleviates the frustrations consumers experience when applying sun-care products. It takes the actuator from the Mark VII Max pump and combines it with several new design enhancements – a larger finger landing area and two ribs on the actuator – to increase the ease of use. Consumers also can enjoy a variety of different spray patterns and spay angles thanks to 21 different orifice cups that ensure full body coverage. Ergosol® Max builds upon Silgan Dispensing’s popular Ergosol aerosol sprayers by offering brand owners a premium look paired with the performance customers expect. An integrated cap, trigger and manifold reduce parts cost, and an elongated shroud creates a streamlined integration with the top of the can to give consumers a product with better ergonomics. Applications span various home and garden uses, including air care, home care, auto cleaners and fabric cleaners.